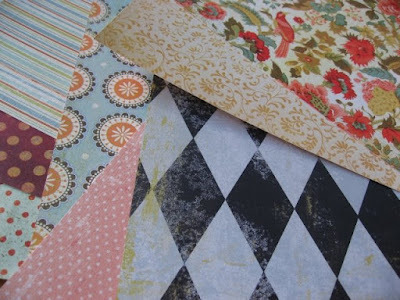 Part of my strategy to survive the wretched 107-degree heat involved driving 15 miles to Scrapbook Expressions, the nearest scrapbooking store (the only scrapbooking store, I should say). I call it my air-conditioned candy store because I'm always running around like a kid in said type of store! The kind owners also let my toddler run around the store -- she was as enthusiastic about the delicious papers and stickers as I was! 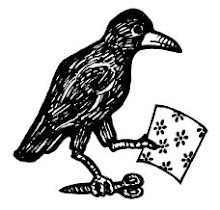 Rooks: my family name; also corvus frugilegus, a member of the crow family; but unlike the birds, this parliament of Rooks can be found in California (the birds live in Great Britain). Paper: a versatile and beautiful medium for my creative drive; I like to make anything I can out of paper. Scissors: primary tools used for shaping not only my paper crafts, but also for my occasional crocheted creations. 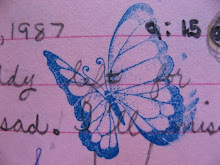 I've been rubber stamping for more than 20 years -- I smacked my first rubber stamp on every page of my grade-school diary.